I wanted share a few things I've learned with you here today,...hopefully you'll stick around for this!! My first ever piece of jewelry was published back in July of 2011 in BeadStyle magazine. 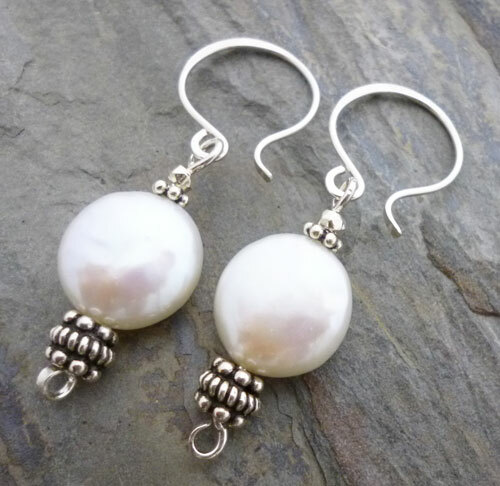 A pair of my keshi pearl dangle earrings got accepted as a project and then they re-ran the project in their big book, Easy Beading Volume 8, so of course I was over the moon! And, I submitted those pearl earrings in the summer of 2010,.....goes to show you that it can sometimes take a while for things to happen! 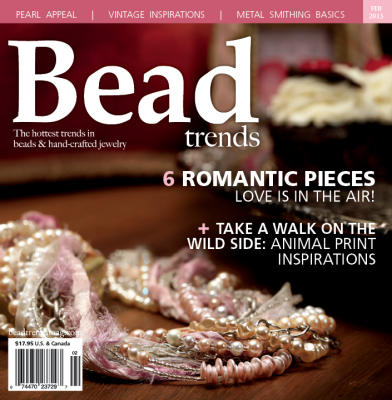 I am so grateful to Tatia and all the folks over at Bead Trends Magazine. They have made submitting pieces to their magazine (something which I was afraid to do!) 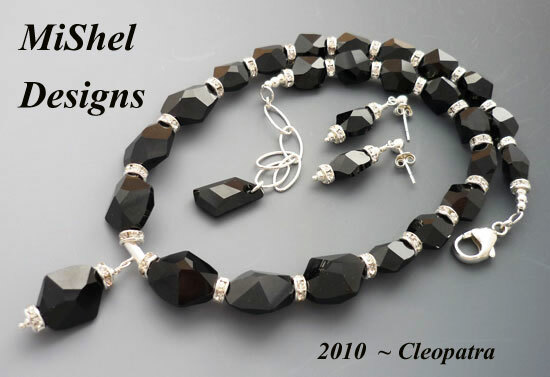 a fun and exciting experience and I strongly encourage other jewelry designers out there to give it a go! I started submitting my designs last year and was fortunate enough to have a few pieces selected and used in both the November and December 2012 issues. And then this January I was lucky enough to have an entire bridal set in their Pearls, Pearls, Pearls section. 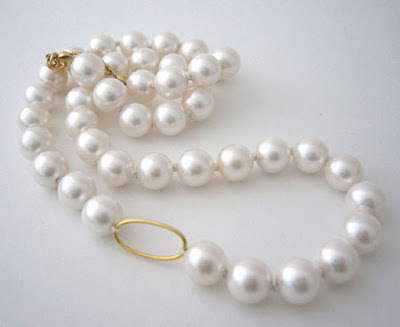 The real fun came when Tatia asked me to write a piece for them on pearls for their Jewel School section they have each month and include several of my designs along with the article to see if it would be something they could use. So, I did. And Wow, I just received my copy of the February 2013 issue with my Pearl Appeal article in their Jewel School Section and was blown away!! HOLY COW! 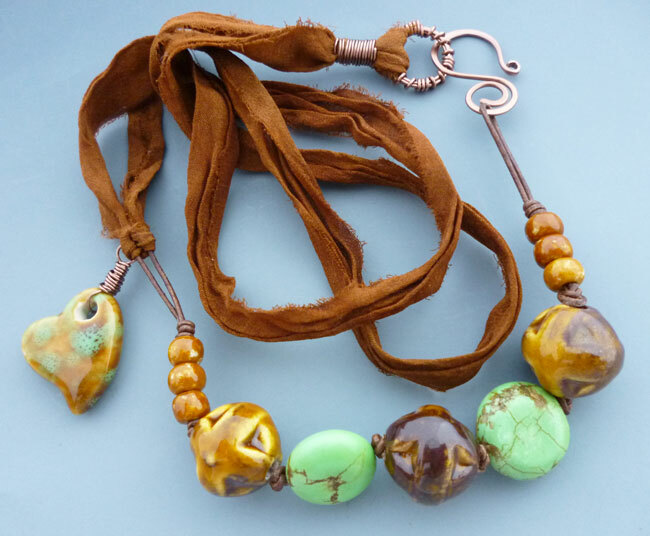 They always do an amazing job of photographing all the jewelry pieces that go into their magazine and the subjects they select for the Jewel School section is always filled with great information on fun topics. 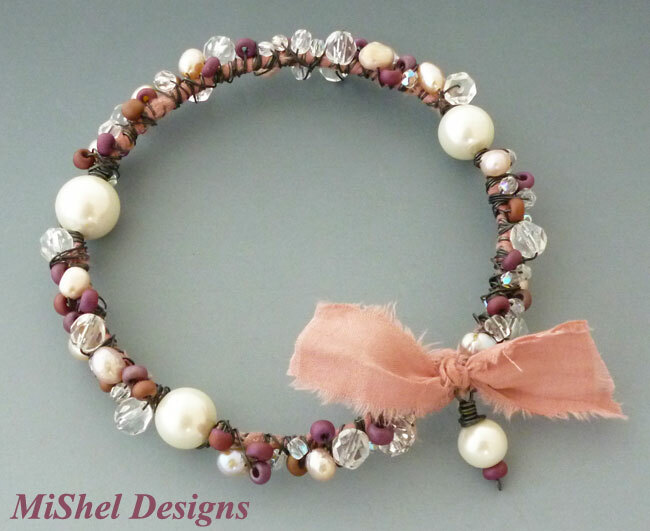 The designer spotlight in Bead Trends is always a favorite as well because each story is so different and getting to glimpse inside another designer's creative process and thinking allows you to view their designs with new admiration and respect. 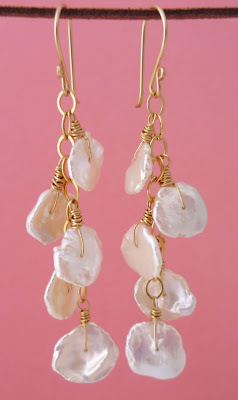 I also submitted to Jewelry Stringing Magazine last year and although they said I didn't have what they were looking for at the moment, they still asked to keep my designs for a while just in case and then they ended up using a pair of my earrings in the Winter edition and they used my earring wires in their "Beads to Buy" section. 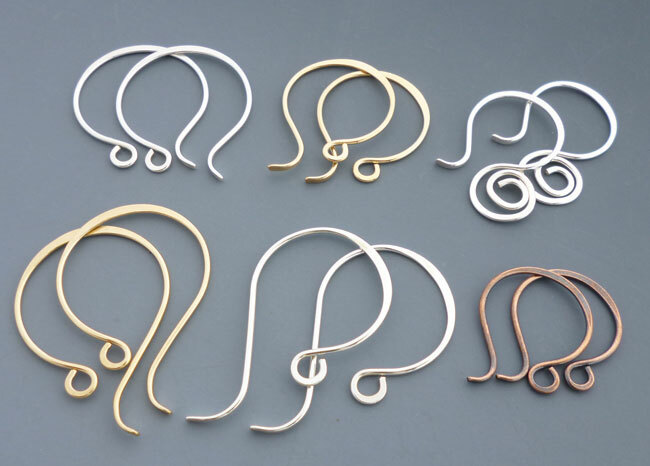 I also got an email asking of they could use my ear wires on a couple of designs in their holiday earrings ebook this winter too, so it all turned out pretty well in the end! Okay, here comes the advice,...or more aptly, what I've learned that I'd like to pass along. Even though it's been said before by people who have been published way more than I have, I want to pass along some things I learned in submitting to bead magazines in order to possibly help some other talented designers who might have had the same 'fear' of putting your designs out there that I did. Check out the magazines you like and select designs of yours that you believe would be a good fit for the magazine. Check out their submission requirements if they publish it online and find out what they're accepting or asking for at the moment. Great example of a "Simple and Classic" Design. The photo is awful,...but I guess it's proof of progress in the last 5 years in the photo department!! 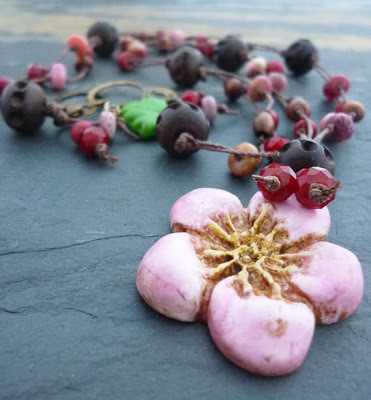 Bon't be afraid to send in something that's a bit unusual or different from all the other designs in the magazine. As long as it's in the same medium/materials they publish in, go for it. Different and unusual are the 'norm' now, so your design will probably be a big hit! But remember,...elaborate, mix-it-all-together designs aren't the only ones people like. Simple, sleek, clean lines are lovely too. Don't think because a design you've created is visually 'simple' or labeled as 'classic' that it won't be accepted. I've seen tons of designs that some people would call simple, basic or classic that make me stop in my tracks when I see them because they're so well crafted and down right stunning! Clean, crisp photo. Probably one of the best I've ever taken. Which leads me to Photography. Take good, clear photos that are on clean, un-cluttered backgrounds and show how good your workmanship is. I should repeat that sentence - it's that important! Even with a point and shoot camera (that's what I have) if you use your macro setting (little flower thingy on your settings), photograph in a well lit or filtered sun area with out your flash and use a tripod or set your camera on something so it's not moving, you should be able to get some good photos. It will probably take some practice and lots of pics that you click through on your computer and say 'no-way' to, but you can do it. There's some great photo editing software out there to help you make the shots pop - but don't over do it on the textures and all that stuff when sending in a photo, the editors want to see your jewelry, not your cool editing tricks. Plus, there's also online classes for photographing jewelry, tons of great books and even You Tube videos on the subject - so invest your time in this one - it's important! It's okay to use other people's designs as inspiration, but don't copy. This is a hard one because so many of us use the same materials, purchase from the same suppliers, like the same trends and have very similar design styles, but you can still make yours just a bit different than someone who inspired you. I can't tell you how many designs I was ready to submit or even list on my Etsy site and then, as I'm surfing the web or looking through various bead magazines, there is something almost identical to what I just created. This is where the saying, "The early bird gets the worm" pops into my brain and I smack myself up side of the head for being so slow to get things done! 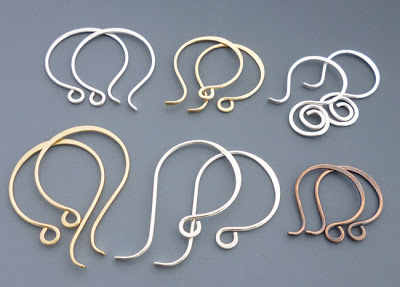 It's also where I stuff my design away in my bead cabinet and don't even photograph it because it looks too much like someone else's design which is already out there. I realize with everyone who's into designing jewelry and with all the stuff that's floating around out there on the internet that it may be hard to know if one of your designs looks similar to something someone else has created, so do your best to try to be aware with out stressing yourself out. At the same time, don't allow it to stop you from submitting a design of yours that you love and really want published - as long as you truly haven't copied anyone. 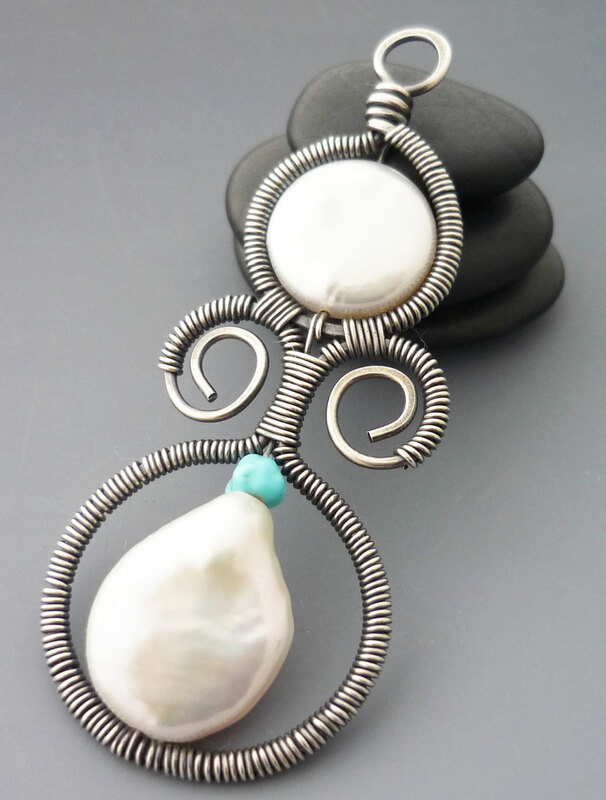 made my own ear wires and used a mix of bali beads I wasn't used to seeing with coin pearls. Follow instructions to the best of your ability. When you send in your creations to a magazine, be sure to follow their instructions and requirements as close as you can to exactly how they've asked for them. This is important because they wouldn't tell you how they wanted stuff if they didn't care and it could hinder them from wanting to work with you on future endeavors if you don't. Be patient. This was a hard one for me because I'd email a magazine and then check my email every 5 minutes for the next month! And once a design of yours does get accepted, realize that magazines work several months ahead of whatever month we're in and it could take several months or even up to a year to see your work in print. Fun and Funky. It's okay to play!! Be professional and courteous even if your designs are rejected. 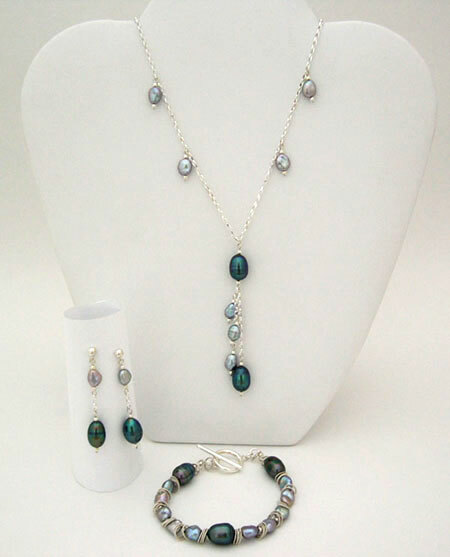 Send a thank you email or card expressing your appreciation for their time and energy in looking at your designs. And when you do get accepted remember to send a thank you email or card letting them know you appreciate the opportunity. Then, after the issue comes out, send another thank you and help promote the magazine or special issue with your social media contacts such as your blog, Facebook, Twitter, Pinterest, Flickr, etc. This last part can be challenging at times because we all have super busy lifestyles and many responsibilities, (and some of us are more forgetful than others - points finger at self!) but simple acts of professionalism and kindess go a long way. Be organized, take good notes and keep good files. Or at least try. This is especially true if you're sending different designs into various magazines in the industry and trying to keep track of who has what, what's required of you and by what date, which issue is the piece being published in, who's returning what, who's not, and so on. Ask for help. If you're not sure how to send in inquiry letter (I think I still need help on this one!) or if you want someone to look at your piece before you actually send an email or mail the piece in for submission, ask a trusted friend and get their opinion or advice (don't put it out there on facebook for the entire world though!). This doesn't mean you have to take their advice or agree with their opinion mind you, but sometimes it's good practice for things to come. Now, go ahead. Edit that perfect pic you just took of that awesome design you just created and send that email or pop that piece in the mail today! You can do it! Peace, Love and Learning, Sharing and Growing! One of my goals for this year is to submit pieces to magazines. Thanks for the great information. I'll be bookmarking this post. You're very welcome Alice, I truly hope this helps! This is a great post! Very helpful...now I just need to take the plunge! Thanks! Yes you do Shelley!! Yes you do - go for it girl!! I know you can! First, congratulations on having so many of your lovely pieces published. They are so worthy of this honor. And I'm saving this post. It's so full of great info for people, like me, who have never submitted to a mag or journal. I may have to add this to my 2013 list of personal challenges. Thanks for taking the time to write this up for us. Thanks so much for your kind words Lynda - they really mean a lot coming from you! I truly believe you should submit your designs. They're always beautiful, well constructed and they're definitely magazine worthy! (In my opinion, anyway!) And I love how you share your adventures with us on your blog when you try out new things. 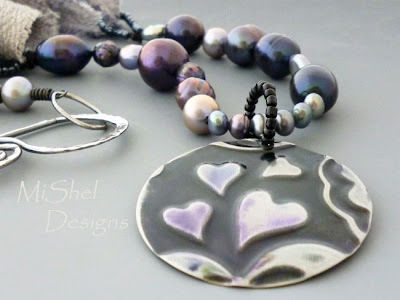 I love your polymer clay pendants you've started doing and I always love to see your charm necklaces and then when you do leather or pearls,...well you know how I feel about those!! 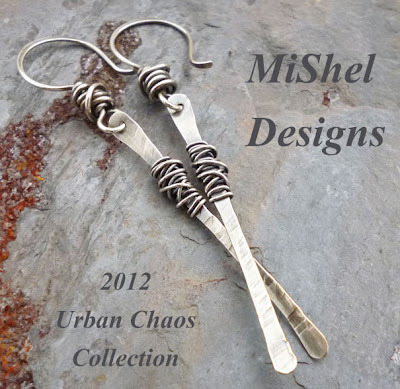 ;-) I believe your designs would be well received for sure!! What a fabulous helpful article. Thank you so much for sharing all of this information. 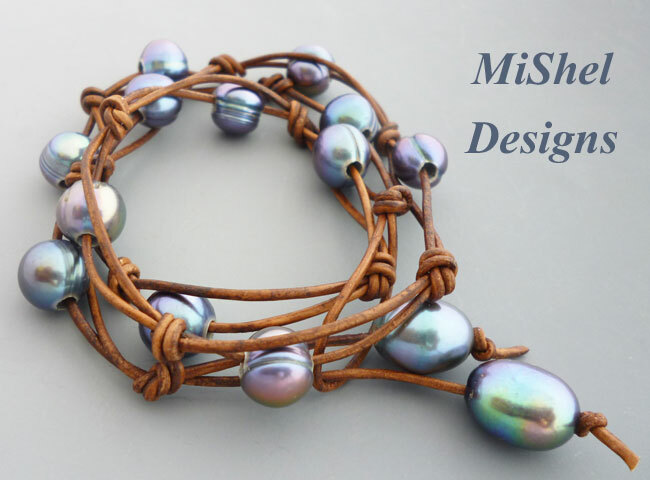 Your designs are beautiful and your desire to be unique and stand out from the crowd of jewelry designers really shows in your work. I hope I can apply what you've shared and get published this year too! 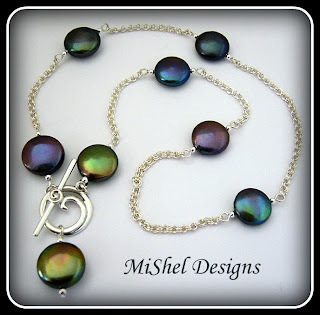 Lisa, I'm so glad you found the article helpful and thank you also for the compliments on my designs, I appreciate that! I wish you much success on getting published this year and you'll have to stop back by and let us know how it goes! !